There are some clear advantages to accepting credit and debit card payments in your business. You give your customers the convenience of paying by mobile phone, by tablet, online, or in QuickBooks. To get the most out of accepting credit cards, take some time to learn more about who you’ll work with to process payments, how to get set up, how to avoid problems, what to look for in a processor, and how to keep your fees low. Learn all the fees, charges, rules, and regulations in your merchant account agreement. Check the identity and expiration date on any card you’re about to process. Don’t put minimum or maximum limits on your transactions. Regulations state that you must accept credit cards for any size of transaction. Don’t offset the cost of accepting credit cards by charging a usage fee for credit card transactions. Don’t display full account numbers on your receipts. Each state’s laws regulate how much information can appear. Get to know the fraud screening products and services that can help you. Use the right accounts for your business. If you try to process Internet transactions with your retail merchant account, you may face steep fines and lose your merchant account. Never run your personal credit card through your merchant account. Don’t split a transaction into smaller transactions. This could put you at risk of a chargeback. Prioritize customer issues above everything else. 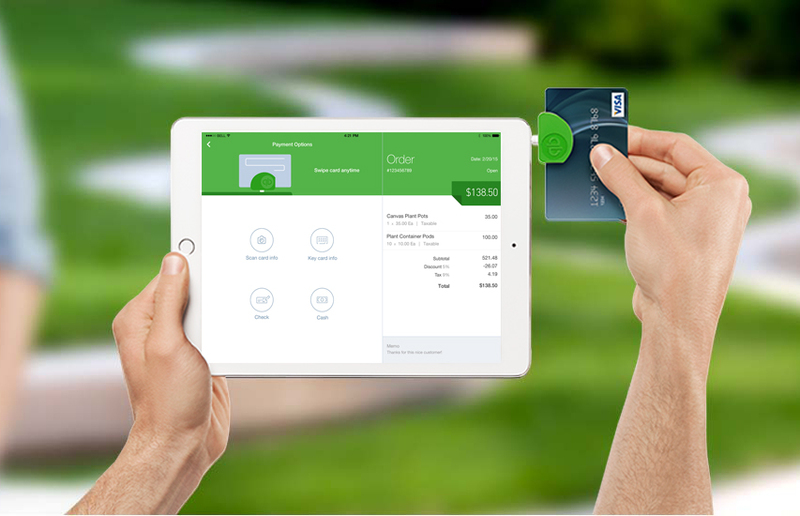 With a QuickBooks merchant services account, all your payment processing needs are built into QuickBooks, including QuickBooks online and all desktop products. Accept credit cards, debit cards, and bank transfers (ACH) online. With direct payment integration, QuickBooks auto-updates invoices and your books when you get paid. Less mistakes, less work, and less worry. QuickBooks Online, Pro & Premier customers can get rates as low as 1.75% and QuickBooks Enterprise customers as low as 1.60%! QuickBooks POS Merchant Services requires NO long-term contract and there are no hidden fees. Try it, and if you don’t like it, you can cancel at any time.